Life has become quite easy and stress-free after introducing the digital payment recharge websites and apps. The fact cannot be denied that these online portals have brought drastic change to our lives giving us the liberty to make payment of gas bills, insurance, landline, apartment electricity, prepaid/postpaid mobiles and so on irrespective the time and location. Moreover, these digital payment recharge platforms also offer huge discounts, deals and coupon offer on every recharge which turns them into even more useful. The significance of these digital platforms can easily get considering its growth all across the country over the past couple of years. Though these recharge platforms keep adding more and more features to lure the potential customers, there are many amazing new and creative features which make these online platforms quite worth in 2018. And one of them is UPI. Some of these online recharge web portals are UPI-enable that makes them more convenient and easy to use. UPI stands for Unified Payments Interface which a payments system pretty much similar to a cheque or your debit card/mobile wallet. This payment system feature makes possible to fund transfer quite easy and smooth. These online recharge websites/App’ popularity has got increase day-by-day because of getting equipped with e-wallet and UPI features offering the variety of service on its platform including recharge facilities, bill payments, shopping, money transfers, payment and so on. Sending money using UPI feature is quite easy as same as sending a message. This digital payment method has created the stir among the smart users. Talking about the fund transferring timing, it can send any time since it is based on a 24/7 basis. The fund would be transferred immediately irrespective holiday or working hours. Even bank strike would not even affect the UP payment procedure. Payments can easily be made to merchants without any issues or delay. Gone are days when you have to wait up to 24 hours in order to transfer money to a new payee. To transfer payment, you do not need either bank account number or IFSC code of the recipient. 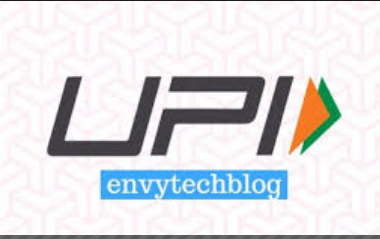 The biggest benefits are that customers can transact from any bank account using UPI and it significantly brings a great relief as users do not have to put that way many efforts in. Best UPI offers are also introduced by these websites time-to-time and you should keep checking out time-to-time. Apart from it, these digital recharge Apps keep adding more and more lucrative features to its platforms in order to make it super convenient and smooth for the customers. Online digital payment platforms are not leaving any stone unturned to become the “customers’ perfect” online recharge site and that is why many recharge websites are also offering special offers including that of Airtel’s which made customers happy incredibly.